Over 200,000 downloads! Thank you! 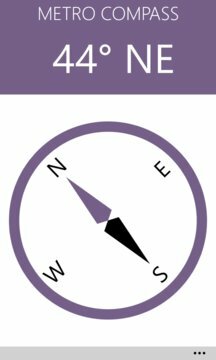 The only compass app that completely blends in with your Windows Phone. 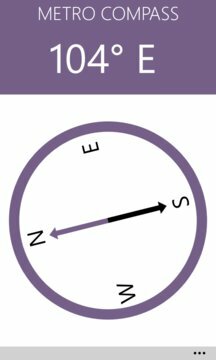 Metro Compass is a metro style compass application with support for head rotation or, needle rotation and has beautiful visuals which change with the change in phone accent color.